Another outstanding introduction from the world-renowned Dianthus breeder 'Whetmans'. 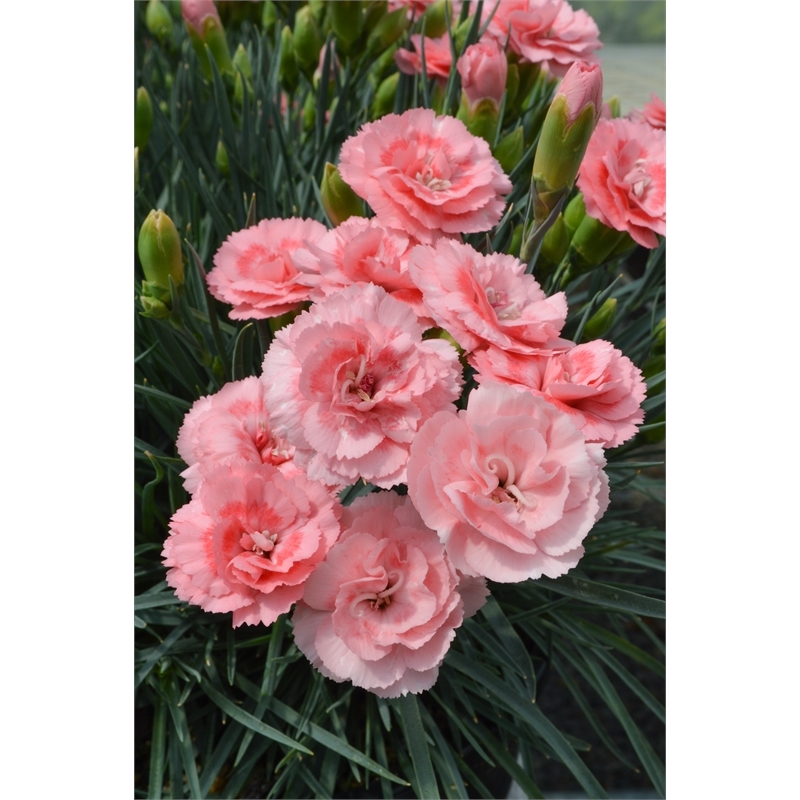 Advances in breeding techniques and dedicated programs for Dianthus have led to the production of this stunning variety. 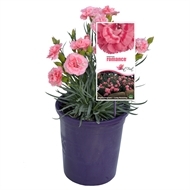 Dianthus Romance is a beautifully fragrant selection, easy to grow and exceptionally hardy. 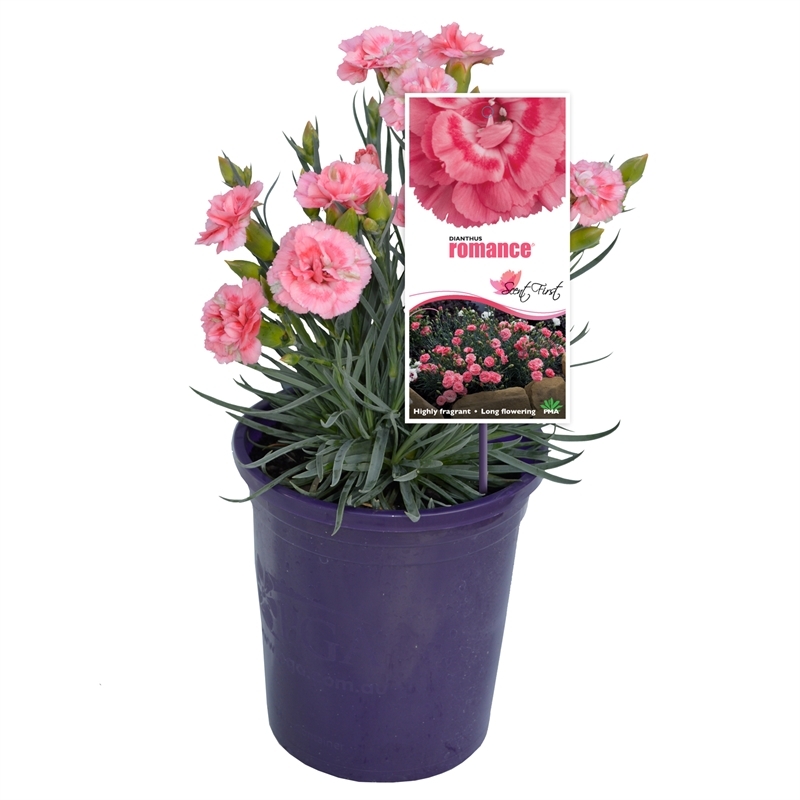 A compact form with stunning scented double dark pink flowers. Each petal is neatly toothed creating a very striking look. This variety also has grey leaves that set off the flowers beautifully. The clove fragrance is best described as simply intoxicating, making 'Romance' a delight to enjoy on a warm summer evening.